We all have our strengths and weaknesses. Some people carve pumpkins into intricate Jack-o-lanterns, some of us reach for the black magic marker. Some folks make great party hosts, others break out the Ritz and the Easy Cheese. 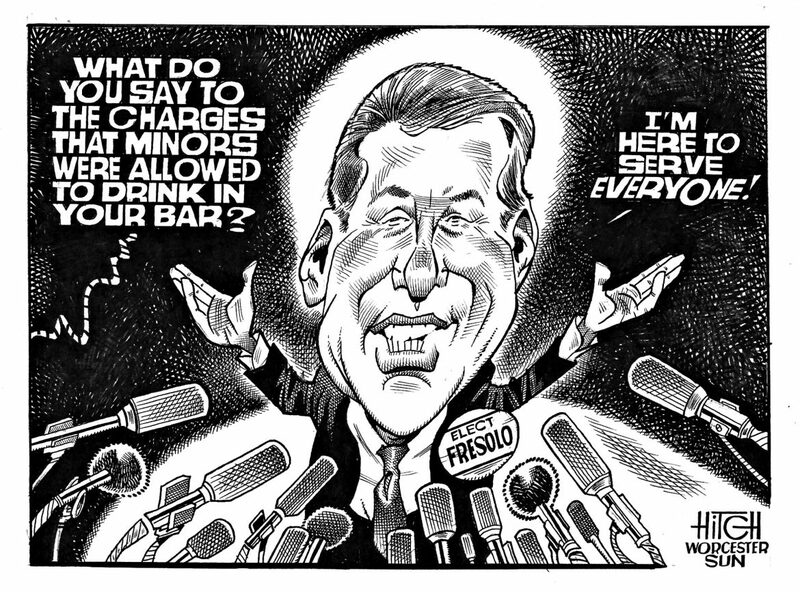 Some of us have self-awareness, and some of us open Canal District bars in the wake of an ethics probe and resignation from the state Legislature only to launch an ill-fated and universally unwelcomed bid to regain that seat. Want more Hitch? Click here. So, how is Rocky’s doing anyway, Mr. Fresolo? Hitch stops by for a quick press conference.